The Breakfast Club. 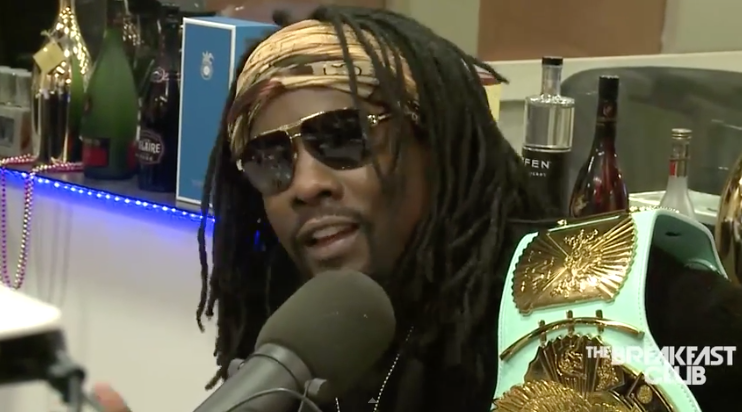 During the 45-minute conversation, the DMV rapper opened up on his love for wrestling – citing anything where you think on your feet and use improv, he’s a fan of. Jokingly saying he’s no longer a heel and now a face at a different space in his life, he soon went to discuss his working and now real-life relationship with Jerry Seinfeld, who plays his conscious throughout his recently released project, The Album About Nothing. Watch more from the interview above, including revealing an unfortunate miscarriage, going through depression, anxiety and music critics in hip-hop.